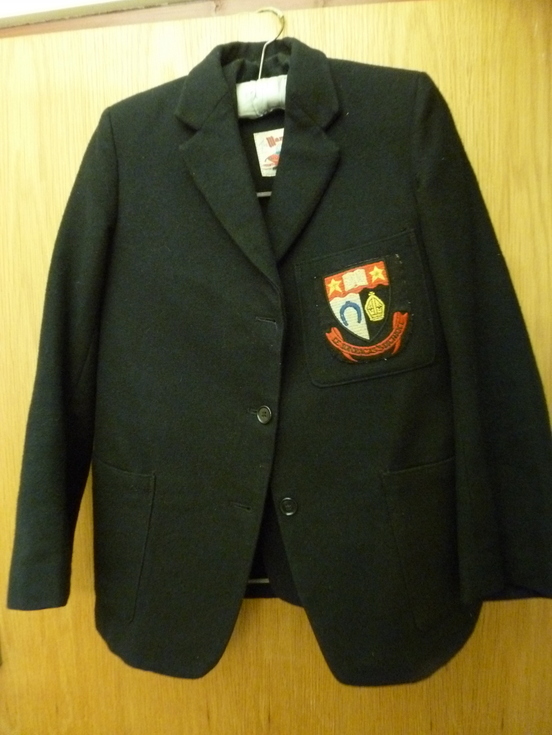 Two Dornoch Academy blazers, of small and medium size suitable for 10 - 14 year olds bearing the Dornoch Academy badge on the left front pocket. There is a makers label inside, centre back below the collar, 'The Marshal' with a logo of a marshal's ceremonial hat on a presentation pillow, below which there is a space for the addition of the child's name. The blazers were from Achley Farmhouse.